PhysioFirst Orthopaedic & Sports | PhysioFirst is a private physiotherapist-owned manual therapy clinic in the eastern part of Ottawa, serving local, city wide and surrounding communities. Since 1996, Physiofirst Orthopaedic and Sports Centre has been trusted in the community for providing a patient centered, evidence informed treatment approach incorporating manual therapy and therapeutic exercise. We provide physiotherapy services to clients of all ages with a wide range of conditions. Fellow colleagues often consult our team of skilled professionals for treatment or for consultations on challenging cases. Come and experience firsthand the PhysioFirst difference in manual therapy and massage therapy. Located in the Beacon Hill North community of Ottawa, PhysioFirst Orthopaedic and Sports Centre is home to a well-qualified and experienced team of Ottawa physiotherapists and massage therapists. We are committed to evidence based client-centered care, and integrate the latest research findings into our treatment protocols. 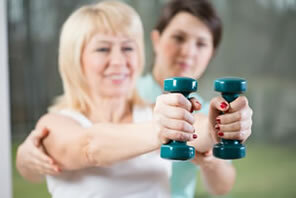 Together we will help you achieve optimal physical function and mobility. Sports injury, repetitive strain, chronic pain…these are all good reasons to turn to an Ottawa physiotherapist or massage therapist for an integrated treatment approach, tailored to your individual needs. PhysioFirst is a private physiotherapist-owned manual therapy clinic in the eastern part of Ottawa, serving local, city wide and surrounding communities. We are located one minute from the Queensway and Montreal Road at the corner of Shefford Road and Canotek Road. We are close to bus connections, and have free parking at our door.